Last week I had an interesting experience in Chuck Pennachio’s University of the Arts politics and media class. 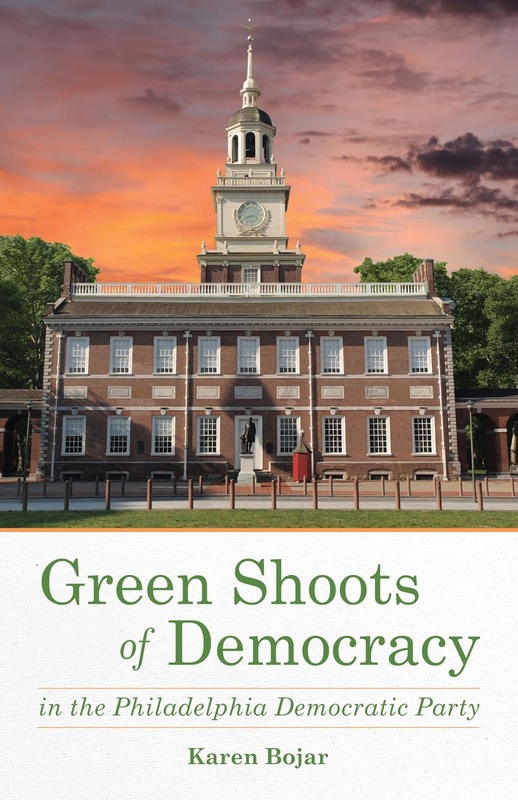 The students were actually interested in my book on grassroots politics, Green Shoots of Democracy in the Philadelphia Democratic Party--although there was the usual gender pattern. The young men were the ones who said they might consider running for committeeperson. I sure hope Hillary’s election (fingers crossed) encourages more young women to consider politics as a career path. Several students said they would be more likely to run if the term were 2 years--as opposed to the current 4 year term. For many young people making a commitment to stay in a neighborhood for 4 years is not an option at this stage in their lives. In a conversation I had about Green Shoots with Committee of Seventy Chair David Thornburgh, he brought up the possibility of returning to a 2 year term for committeepersons and mentioned two people (one a current and the other a former elected official) who suggested this would be the best way to reinvigorate the ward system. It would likely shake things up and get more young people in the political pipeline. I’ve long thought we should return to 2 year terms but didn’t think it would ever happen as long as Bob Brady was Party Chair. It was Brady's idea to switch to a 4 year term in the early 1990s, thus making it more likely that he would keep ward leaders loyal to him in office and hold on to his post as Chair. I wish I had incorporated this idea into Green Shoots. There are always some post-publication regrets, but at least I can incorporate this proposal into book events such as event at Big Blue Marble Bookstore on Sept.18.